At Hewett we aim to provide a variety of options for students to do during play breaks. In addition to a variety of outside play options, we offer supervised indoor play activities at lunch times. Our well-resourced Library is also open lunch time with a variety of quiet activities available for students to participate in. Parents and families are actively encouraged to attend this day, join in the fun and support their children in using their skills to support those in need. Our school is passionate about educating its students on the importance of commemorative occasions. Our DSTA works together, primarily with students from Defence Families to plan, organise and present our Anzac Day guest speakers and our Remembrance Day Assemblies. The DSTA also organises visits from Educational Officers to help further educate our student body on the sacrifices made by our Australian Defence service men and women. 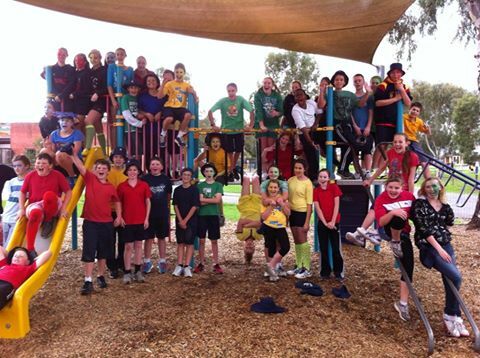 Hewett Primary School holds an annual Sports Day with a focus on active participation, team work and having a go. The four Sports Day teams are named after birds native to the local area – Kingfisher – Red, Goldfinch – Yellow, Plover – Blue and Lorikeet – Green. Families are actively encouraged to come along and support their children. 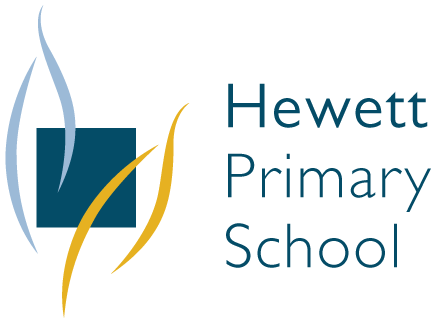 Hewett Primary School encourages and promotes the celebration of the various skills and strengths that our students have. One way this is done is through our participation and support of the SAPSASA programme for primary school students. Students have the opportunity to represent their age group in a variety of sports including netball, football, athletics and soccer. In 2016 the school introduced a School Choir Program which is associated with the Festival of Music Public School Choir Program. Students from Year 5-7 are invited to participate. Students attend 2 sessions a week , one in class time and one during a lunchtime. The children are trained by a member of staff and they learn the songs from the Festival of Music Program. Students are required to purchase a book and CD at the beginning of the year. From the children who join choir 34 will be chosen to perform in Adelaide at the Choir Festival in September. During the year the choir will perform at local events and school activities.